When deciding which trampoline model to buy, you’ll probably think to yourself, “Should I get a round trampoline or a rectangular one?”. While the rebound system that the trampoline uses and its build quality contribute more to its safety and performance, shape does indeed make a difference to frame strength, bounce quality and price. All of Vuly’s trampoline models are round, and that isn’t a coincidence! Vuly believes that round trampolines are the best for most families. We’ve spoken before about what makes a ‘heavy duty’ trampoline and about the different types of spring systems. Today, we want to talk about the case for round trampolines. On a round trampoline, the springs—be they coil springs or Leaf Springs—are positioned uniformly around the frame or base. This creates a more consistent and predictable bounce than on rectangular trampolines. 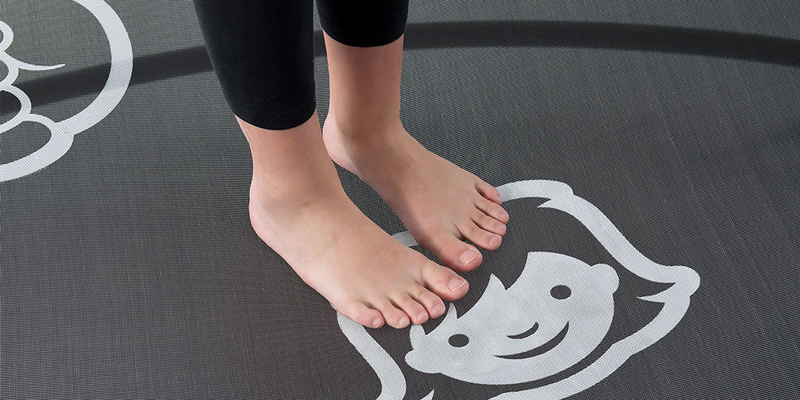 It also naturally guides the user towards the middle of the mat—no matter where they bounce—making them safer for young children. This means that bouncers have greater control over their rebound on round trampolines than on rectangular ones, which can be unpredictable for untrained users. Rectangular trampolines also tend to use intersecting springs, which have both a harder and higher bounce potential than traditional round trampolines (and thus were more useful for training gymnasts). However, the innovative technology behind Vuly’s signature Leaf Springs and up-down coil springs offset this advantage, meaning that Vuly’s round trampolines are as bouncy—if not more so—than any rectangular trampoline. Because of the uneven weight distribution on a rectangular trampoline frame—and because the bouncer will not naturally be jumping on the most robust part of the trampoline—rectangular models require more springs and extra frame reinforcements to safely handle jump force. Even with these supports, many rectangular trampolines do not match round trampolines in their certified weight capacity. For Vuly’s trampolines, this rating is 150 kg. For a number of rectangular trampolines, the number sits closer to 100 kg. Vuly’s trampolines are cleverly designed to boost frame integrity, with Vuly2 featuring a double-ringed frame and Thunder Summer sporting a unique, close-to-the-ground ‘base’ of supportive Leaf Springs. Both innovations are possible because of round frames, and both are superior to the tall legs that are often used for rectangular trampolines, which can be prone to toppling. Have you had both shapes of trampolines? What did you think of round compared to rectangular? We have a strong position at Vuly because of what our research has shown us, but let us know which shape you think is better!